"Pretend you are sleeping!" But he can't. He rolls, he wiggles, he seems to float. 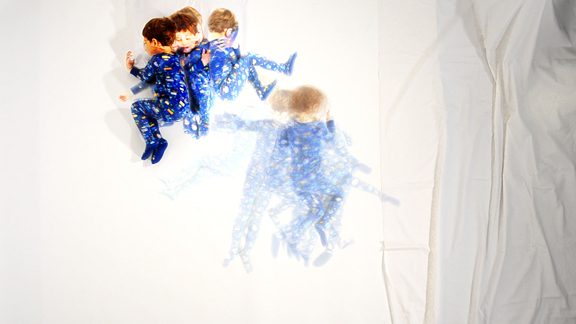 In this work I am exploring the body as mark making tool via the video medium.